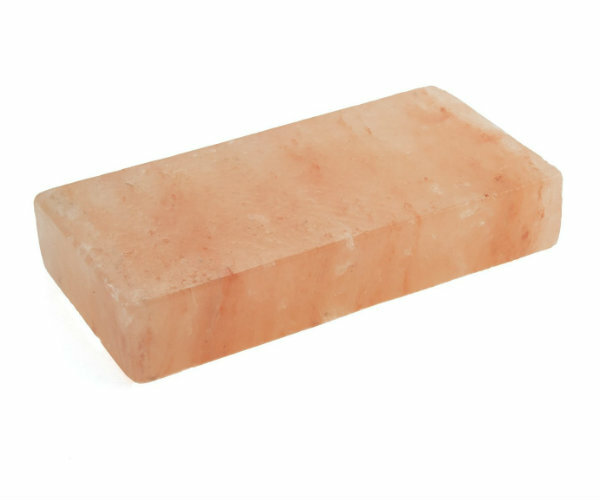 Himalayan salt is rich in trace minerals, which adds to the depth of flavor your foods will achieve when cooked, chilled or presented on the beautiful pink salt brick. When used as a cooking surface, the Himalayan salt brick imparts subtle flavor onto food, resulting in a milder flavor than when using ground salt. This salt brick can also be heated and used to press food. This increases surface contact with a heat source, speeds up the cooking process and flavors your food from the top down. This brick is designed to fit in the Best of Barbecue Salt Brick Press.